With a personal interest in Birds In Flight photography (previously captured with the Canon EOS 70D / EF 400mm f5.6L USM lens), I added a Canon EOS 7D Mark II body to my gear during 2015, paired with the same lens and same shooting environments. 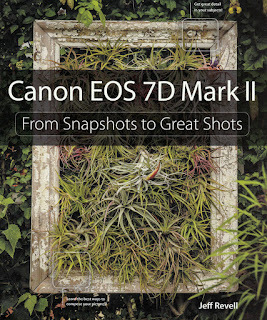 I acquired this book to learn and understand more about Canon's new APS-C flagship - the Canon EOS 7D Mark II. Very easy to follow with detailed explanations and imagery from the Scene Intelligent Auto to the Creative Zone / advanced shooting modes. 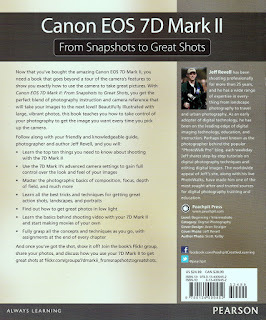 This book follows the familiar 'From Snapshots to Great Shots" pattern and the reader will be guided through various basic photographic performance requirements to advanced exposure techniques (using Aperture / ISO / Shutter Speed) for application in the Canon EOS 7D Mark II's Creative Zone (P / Av / Tv / M modes). 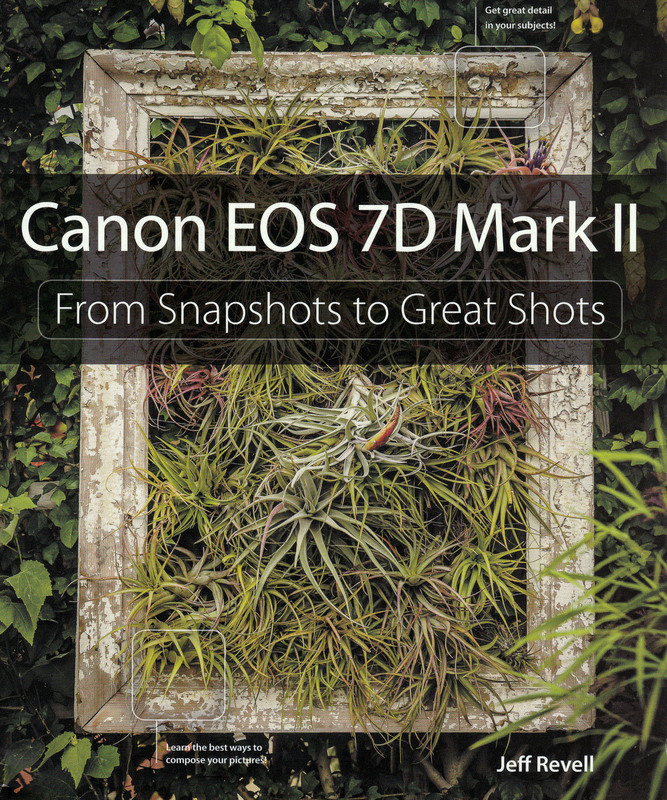 The 260+ pages of the Canon EOS 7D Mark II 'Snapshots to Great Shots' are packed with the author's expert knowledge, skills and many practical camera / photography demonstrations. Each chapter is a well-structured combination of camera settings / features (with images) and detailed explanations and demonstration on how to achieve similar shots. See the section further below to more / advanced Canon EOS 7D Mark II Autofocus information not covered in this book. One of the main features of the Canon EOS 7D Mark II is its ability to shoot at 10 fps (with its highly configurable 65-point autofocus (AF) system). The book covers action / sports photography, but only make brief reference to the advanced AF system and 7 different AF modes. As with the current professional Canon EOS bodies (EOS 1-D X / EOS 5D Mark III) the EOS 7D Mark II also deploys the 6 configurable AF Cases (shooting scenarios / settings for different conditions).